I have been super busy lately. Between helping Matt prep for his film project, crafting, working on my new zine and doing day to day stuff I am surprised I find time to read. I picked up The Hunger Games not thinking I would dig it - boy was I wrong! From day one I was hooked. I was even dreaming about being thrown into the arena! I just started book 2 and you bet I am carving out some reading time. I want to watch the movie this weekend but will pass - we are so busy I feel as though sitting down for a few hours would be wasteful and the theaters will be packed - I cannot enjoy a movie when the theater is loud. 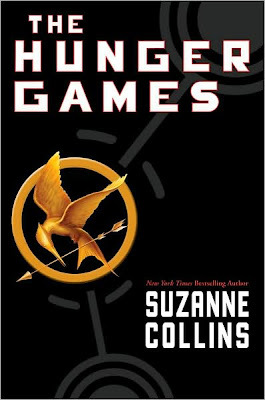 I will see it hopefully next week and until then I will be working on a mocking jay cross stitch pattern and be sportin' Hunger Games inspired nails!